If it is a business, it has got risks involved. Here the word risk holds true in every sense. When you fail in risk management, your business fails. Same goes for hotel business plan. Hospitality is all about relationship between a guest and a host, wherein host receives guest with goodwill, including reception and entertainment of guests, visitors, or strangers. (That’s what Wikipedia says) This very nature of hospitality business makes it inherently competitive, volatile and thereby subjected to go downhill. The industry is at a touch-point where hardly one-third of hospitality business start-ups sustain and make it longer than a decade. Evidently, most of the properties that are opening up now won’t be around in next couple of years. With low overall profit, hotel businesses might struggle to outlast an average business lifespan. When it comes to running a hotel business, there is a lot more than just people checking in and out. Hotels operate 24/7. Hotel management covers diversified operations and departments such as customer service, staff management, inventory and assets management, hiring, training, marketing, accounting. Therefore, it takes immense expertise to sustain the business and last long in industry. My business is working very well. Why should I read this? Because precaution is better than cure. Simple! It is better to safeguard your business from a set of events and situation leading to close-down than trying to fix when the ship starts sinking. Send this research to your fellow hoteliers for them to stay mindful of these key practices. Nevertheless, this guide shall give a slight hint of what can cause a turmoil in your smoothly running business and how to overcome it. What do hotel businesses do wrong? Businesses don’t fail just like that; at times, they simply fail to reach their full potential. Economy, guests influx, places, expenses, wage and goods costs and management can be hard. 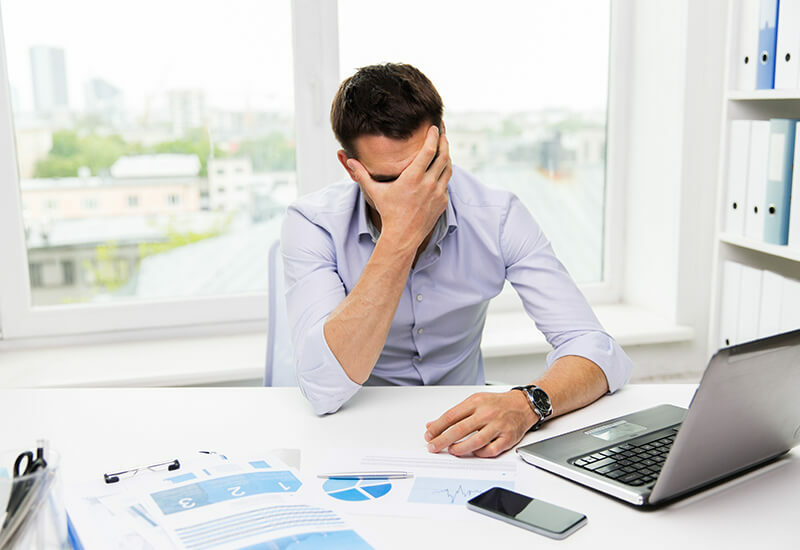 Not all reasons are responsible to collapse a hotel business plan, but these are factors that could erode your profit. Presented below is just a collection of how-and-why-it-happened. You can mitigate risk of damage by keeping in mind these strategies in order to radically elevate business performance index. Stay prepared and take insights from this compilation and you’ll learn what to do and what not to do. Let’s explore! Bad reviews by guests speak a lot about you! Bad reviews are never healthy for any organization, let alone hotels. Poor customer satisfaction renders negative reviews. When a guest is not happy with services they often take it to internet and it can be hazardous to your business. Unfortunately, one such bad review can attract plenty of other bad reviews too. Impact of testimony is so severe that it can influence many other potential guests. Ripple effect is you might end up losing existing guests for life. Displeased guests can spread the word about your not-so-good services like anything. And online review websites allow them to speak aloud about their experience with you. The best way to deal with negative reviews is to RESPOND to them, quickly and politely. Justify their pain points and restore their faith in you again. Mind well, your response to a negative review helps other guests decide whether to visit you again or not. The neighbourhood your hotel is standing in changes with each passing moment. The market you operate in is no different. When economy is at the downturn, value fluctuations of assets and business; and subsequently revenue; can be dead expensive. Poor market timing, declination in year-over-year, resulting in compact RevPAR, all these are signals that you are falling through cracks. If only you have ample capital/refinancing resources and workforce, you can pull through the distressed downturn environment and possibly recoup your CapEx. Otherwise, it may bring about foreclosure or bankruptcy. If you don’t have comprehensive knowledge of conventional operations in industry, market behaviors; then all that you need is a concrete advice. Hiring inexpensive readily available staff can cost loads to your business. When a hotel project is administered by amateur hands, it would eventually lead to subpar results and probably a complete disaster too. The incompetent people in operations create impedance for an organization to operate in full swing. When your staff is not adequately skilled, it increases cost contingency. However, recruiting right people can prove to be a difficult job. The right people with a solid track record have diligence to directly impact business performance to the bottom line. The properties that do not have a defined ‘people culture’ always face a hard time in business. How would a discontent staff create a pleasant ambiance for guests? When your hotel is resolute to serve guests in the best manner, you need a victorious team. You cannot build a winning team if people keep coming and going. Educate your staff, provide them with growth and advancement, cultivate the harmonious mindset among them and reap the reward. When cash flow reaches the bottom, your last resort would be reserved assets or liquidation. But when even this fails, you default and simply lose the property. Incidentally, higher leverage typically renders a hefty interest rate. Simply put, as capital cost and debts go higher, so does risk to reward ratio. When you borrow money (for renovations, maintenance, property extensions, or for any sane reason) and accrue huge debts, you put your hotel business plan at stake. In case if you fail in repayment, then you have no choice but to close down. Not to forget, upon failing to abide by loan agreements, lenders can legally recover the loan amount by liquidating hotel assets. When your reserved capital is insufficient, it results in reduced profit and thereby quality; brand erosion, and eventually lifespan of business – something that took years to build. The remedy is a disciplined approach to managing cash flow and CapEx. You should stress test entire business plan in order to safeguard from potential downswings of seasonal impacts and industry cycles. Always set aside a contingency amount that you can sustain on for at least 6-12 months for repayments or operational essentials. Keep a check on expenditures, Because, a penny saved is a penny earned. Some businesses still operate as if they are in stone age. Is yours one of them? Are you relying solely on past guest referrals and walk-in guests? No additional efforts to escalate growth rate? Have boring old-world menus and services? Are you miles away from creativity and contemporary swag? If you have these symptoms then you are suffering from ‘non-adaptability issue’ and you are prone to definite eventual business failure. Adapting practices and systems that bring in higher productivity and effective returns. If you are still not able to let go of those obsolete marketing methods, matter-of-factly death bells are ringing for you. There was a time when just putting a neon sign for vacancy outside hotel entrance, you could bring in guests looking for accommodation. But times have changed! A neon sign does not work anymore. Today, marketing has grown to be deeply sophisticated and systematic. You can target guests you are looking for. There are segments of audience, channels to approach them, and all tools to get global: Online travel agents, distribution systems, software to capture bookings, and websites; everything to help you showcase your services right from your desk. Then you have emails, mobile apps, and social media to connect with your guests in each and every corner of world. Travellers have gone digital! Get yourself enrolled in an online marketing class to learn nooks and crannies and to master all those modern marketing and advertising strategies and tools. However, before jumping in unpredictable results, all you need is right systems and right strategies to achieve long term growth. Bottom line is, you should be able to attract right guests in right season, utilize complete inventory, drive more profits and manage business like a boss! Lastly, perspective matters. Take time to analyze what your guests seek from you. And channelize your efforts and resources accordingly to deliver what is expected. Your location can be quite weak to expect reasonable guest influx or it can weaken over time due to changing landscapes of a location. How easily your guests can find you? Is parking available? Are you close to popular entertainment or sports venues attracting high footfalls? These factors signify right location as well as property valuation. Sometimes, property is located at a wrong or marginal location, hence wrongfully calculating potential business variables might lead to downfall. Once infrastructure is built, it becomes a permanent address of your hotel till it running, it cannot be moved. Nevertheless, market condition would always change, in your favor or against you. The location based factors such as cash flow, ROI, asset valuation, exit value, and everything that you can imagine; always speculate them as early as you can to withstand varying location dynamics. Then, the governing body might show inflexibility, leading to foreclosure. When room occupancy rate in market hits low, you have no choice but to wait. Increase in accommodation facilities in your area or (comparatively!) higher prices of your rooms in market; can lead to lower occupancy rate. Have you heard about Revenue Management Services? They have expert methods to optimize occupancy and thereby revenue. Give it a try. At last, breaking even is better than operating in losses. Your hotel business plan must be structured so as to define marketing and development strategies, budget and expenditure speculations and more. You need a plan to know your target. Wondering why you have no control over your business? Because you don’t have a plan. If your competitors are doing better than you, then definitely they have a better shot at business than you. Strongly positioned competitor, be it new or renovated; can nudge you out of market. Competition is inevitable. you cannot escape it. Only way out is to develop a “Warrior Mindset”. Thus, values plunge with increasing competition, making it difficult for you to survive. Then, only time and rise in demand would decide recovery duration. As a business owner, it is imperative for you to understand key elements and performance indicators that determine and control business course. Identifying break even points, contingency, known-unknown-fixed-variable costs, contribution margins, wages, asset values, gross profits, and suchlike ascertain how your business is doing at any point in time. Build systems and standards along with KPIs in order to measure business performance without having to be present at property. Lack of integrated business systems can lead to poor administration and execution in recent times. Using pen and paper or, excel sheets and old computer in name of technology simply will pin you down. There are plenty of services and solutions that suit your hotel business plan and property type, implement and make the most of it. You will be rewarded with more efficient staff, quick services, and giant reduction in operational costs. Tax policies of local government and business regulations. Coming to a conclusion, we can believe that success and failure of hotel businesses are driven by several factors. Troubles materializing from both, internal and external sources make the industry challenging. Additionally, modern travellers laden with all the information at fingertips will make it no less challenging. Only tactically dealing with those troubles helps a business sustain. To make it easier, here is a checklist for you. While you go out and strategize for a perfect hotel business plan, don’t forget to check this up! If you learn and assimilate in advance every nuance of how to avoid such mistakes, you would soon become a seasoned hotelier. Way to go! Hospitality is a service industry, unlike other businesses. It needs to be actively managed consistently day after day. You need to have systems, processes, policies, plan and a purely analytical mindset to survive and succeed. However, when you get vibes that it is falling apart, take quick and wise actions. Don’t just sit back and hope for it to get better eventually. So now that you have read this guide, you are all set to dive in hotel business and rock it! Thank me later.